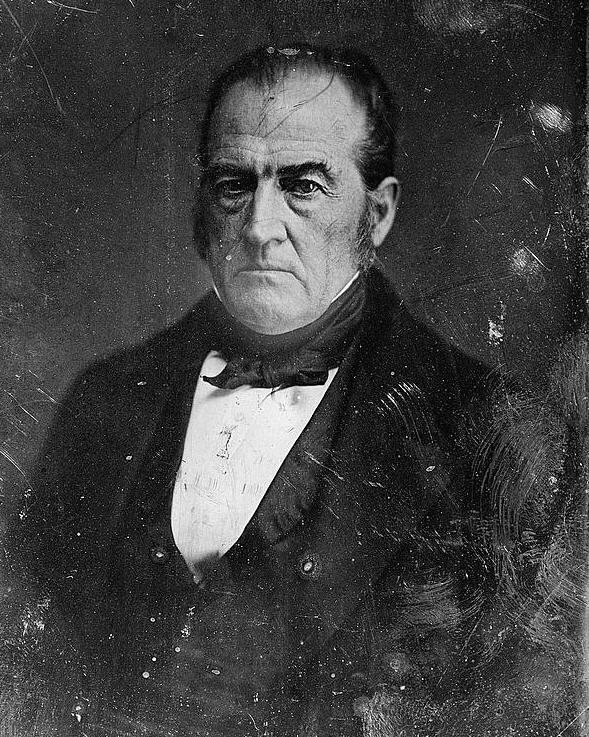 Unlike Sam Houston (1, 2, 3, 4, 5, 6), Tennessee’s John Bell waited until the eleventh hour before delivering his big speech against the Kansas–Nebraska Act. Both men, probably from the start, knew that they couldn’t change much. Douglas had the F Street patriarchs behind him and they largely controlled the Senate. He also had the party apparatus working for him, thanks to Pierce’s coerced support. Does all of that mean Houston’s and Bell’s, and indeed everyone else’s, speeches meant nothing? Maybe. You can’t go into the Congressional Globe and read these men for long without realizing how madly they loved the sound of their own voices. I very much doubt any modern Senate speeches make any real difference in votes, unless someone makes a gaffe that could hurt come reelection time. People simply do not change their positions, especially on weighty issues, on a dime. The men in the Senate then cared about slavery and the Missouri Compromise as much as senators do any major issue today. Houston, Bell, and all the rest clearly spoke with an eye toward the newspapers and posterity more than their peers. But at the same time, back then they actually lived in Washington, often together, for the duration of sessions and so probably had a lot more opportunity to influence one another than today’s politicians that fly home every Wednesday or Thursday. I feel greatly embarrassed in undertaking to address the Senate at this time, particularly since the sentiment of the body has been so decidedly expressed, not only in regard to the feature which is considered the most important in the bill, but in regard to every other to which I propose to address my remarks. I regret, sir, that I feel under any necessity to trespass at all upon the attention of the Senate, upon this subject; and particularly when I observe the solicitude of the friends of the bill for its immediate passage. But the relations in which I stand to this measure, I think, forbid me to forebear. My own self-respect would forbid that I should forebear, however painful it may be to me to express any views in opposition to a measure which seems to commend itself to the almost unanimous approval and support of my southern friends. I saw that the objections I had urged to the Nebraska bill of the last session of Congress would apply to the measure then before the committee; and my impressions against the expedience of introducing any clause affecting the Missouri Compromise were strong; but as I had not considered the proposition in all its aspects, I agreed that the amendment might be reported; but as the honorable chairman of the committee will do me the justice to admit, I did so with the express reservation of the privilege of opposing the passage of the bill, if, upon careful examination of the subject, I should feel it my duty to do so. I can only speculate, but this all has a whiff of Bell never expecting the bill to come near passage and so passing the buck back in committee. At any rate, Douglas agreed that Bell had his reservations and reserved the option to vote against the committee’s work. Bell proceeded to do just that. This entry was posted in Kansas-Nebraska Act, Road to War and tagged Franklin, John Bell, Manifest Destiny, Sam Houston, Slavery, Stephen Douglas, Tennessee, The South, Whigs.